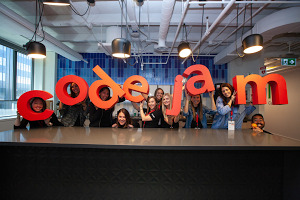 Editor’s note: As part of the ExploreEDU event series, schools are working with Google for Education Premier Partners to throw open their doors and invite neighboring educators to learn from their firsthand experience using Google tools to innovate and improve. To see if there is an event near you, visit the ExploreEDU site. For those that can’t join in person, we’ve asked the host schools to share their experiences and tips in a blog post. Today’s guest authors are Colleen Coleman and Anne Staum, teachers at Burnsville High School in the greater Minneapolis/St. Paul area. The district is hosting an event on December 1 and 2 with Best Buy for Education. No matter the path our students take, the ability to guide their own learning will be an important part of their lives. At Burnsville High School, we’ve put students at the center of their education by transitioning from a lesson-based approach to a project-based one, introducing more personalized instruction and engaging students as active participants in their education. We see technology as an essential tool in this evolution. Earlier this year, we introduced a 1:1 program schoolwide, which means all of our 2,700 students use Google Chromebooks in class and at home. 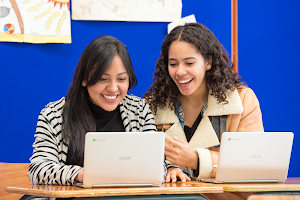 We’re using tools like Chromebooks and G Suite for Education to ensure graduates are future-ready: comfortable with computing and online research, experienced in giving and receiving feedback, and confident creating content. We believe students learn best when they’re engaged as content creators. In our social studies classes, students use Chromebooks to research concepts like civic engagement and share their findings with the class. Teachers can gamify these lessons by offering extra credit to students who post the correct answer on Google Classroom, a tool that allows educators to communicate directly with students as well as manage assignments. Our high schoolers are also using Chromebooks to work on in-depth projects and participate in learning experiences of their choice. A group of 12th graders produced a video about the founding fathers for American Government, while two juniors enrolled in a money management class recently placed second in a competitive stock market simulation, in which they virtual invested $100,000. Interdisciplinary projects like these immerse students in real-world topics while helping them develop critical skills, such as teamwork and planning. Chromebooks have helped our students better understand the world around them. Studying current events in our American government class, such as the presidential election, has encouraged students to question and critically examine their civic institutions. In a recent project, students researched competitive congressional races with their Chromebooks and organized their findings in Google Drive before presenting their findings to their classmates with Google Slides. We also used Slides to share the results of our school-wide presidential election. Without the easy-to-use tools in G Suite, it would have been much more difficult to conduct and share the results of our election simulation. These projects not only prepare students with practical knowledge that can inspire a budding passion, but also develop the analytical and presentation skills they will need to succeed as professionals. Students tend to learn just as much from feedback as they do from completing an assignment. In language arts class, for example, students need constant feedback to develop their writing. Teachers can give feedback while students are working on problems at home by collaborating in the same Google Doc. These fast feedback loops help students respond to input from teachers while it’s still fresh in their minds and fosters collaboration, another crucial real-world skill. Today, project-based learning is inspiring our students’ curiosity and helping them identify topics they’re passionate about. We know it’s not easy to change ingrained approaches to teaching and learning, but it’s possible. It starts with encouraging students to imagine their path and direct their learning.